Why choose Nuffield Health Cambridge Hospital for your cataract surgery? As you age the likelihood of developing a cataract increases, which can severely alter your eyesight. A cloudy lens forms over your pupils and this can be hard to notice, since cataracts can take years to fully develop. At Nuffield Health Cambridge Hospital our leading ophthalmic surgeons are experts in cataract surgery and can help you skip the long waiting lists to provide rapid access to cataract treatment. The modern techniques we employ are minimally invasive and relatively pain free. Whether you have one cataract or cataracts in both eyes, our eye experts are here to help restore your vision. During a consultation our specialists will diagnose the condition of your cataracts before deciding if an eyesight enhancing lens implant is needed to repair your sight back to full health. Our recently opened private hospital has already built a fantastic reputation for private healthcare in Cambridge. We have built unique private day case rooms for cataract patients which feature comfortable seating, wireless internet and wide screen TV's. Our exemplary practice of primary care has been recognised by the Care Quality Commission who recently awarded our hospital with an 'Outstanding score' during our latest CQC review. If you are seeking to undergo cataract surgery, booking a consultation with our eye experts is easy. Simply call our dedicated hospital enquiry team on 01223 370 922 and they will find you an appointment time that works for you. Alternatively, fill out one of our contact forms above and a member of our enquiry team will get back to you at a more convenient time. Please be aware that you will receive eye drops during the consultation to help diagnose the severity of your cataract. We recommend that you arrange transport to and from the hospital as we strongly advise against driving after having the eyedrops. 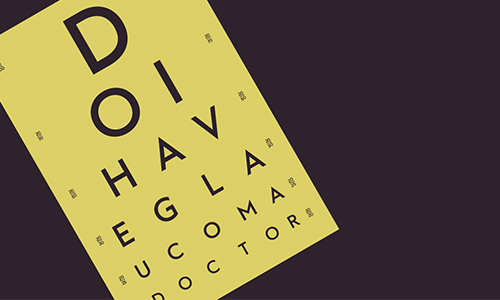 Cataracts, glaucoma and age-related macular degeneration are the most likely conditions to affect your vision. Here's how we treat, prevent and manage these thieves of sight and how you can reduce your risk of developing them. 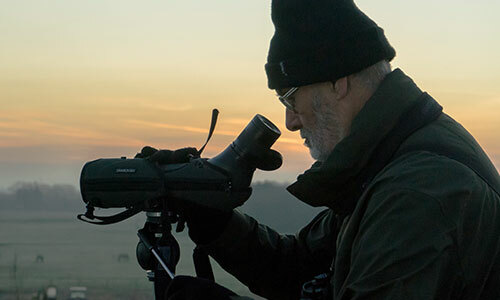 After losing his wife to cancer, Bruce contemplated giving up his lifelong passion of bird watching. Determined, he gathered the courage to return to the fields, but cruelly his eyesight began to fail soon after. This is his story of love, loss and redemption. Your eyesight won’t be perfect if you have other eye problems, but you should be able to return to routine activities of daily life and the things you enjoy. We need to ensure your blood is clotting normally before we operate. A new lens implant will be inserted replacing the cataract. After you’ve recovered from the effects of any anaesthetic you can go home. Avoid bending over as this may cause pressure on your eye. Close your eye and blink several times, but do not rub it. When you open the drops, write the date on the bottle, so you know when to throw them away. Driving is dependent on your vision. You should check with your surgeon when you can drive again. If you are in any doubt about your insurance cover, it’s best to contact your insurance company. Thickening of the lens casing (the part which holds the lens in place). This can be corrected with laser surgery. Cataracts, glaucoma and age-related macular degeneration are the conditions most likely to affect your vision. Here's how we treat, prevent and manage the three thieves of sight.